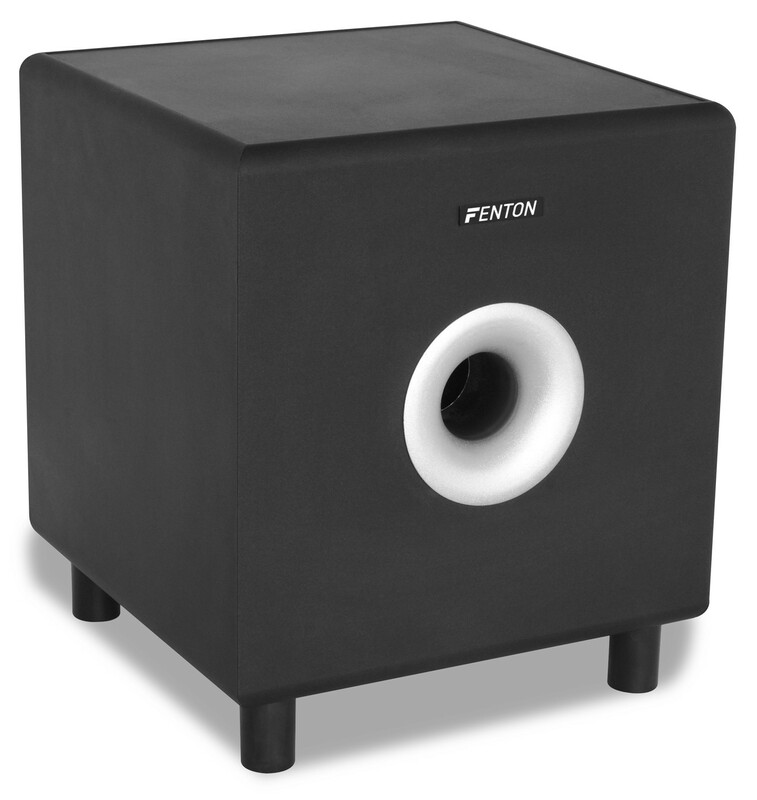 Through downfiring (subwoofer on the bottom) this subwoofer, with a frequency range of 20-200 Hz, produces more bass sound. The crossover frequency is adjustable between 50 ~ 150Hz. 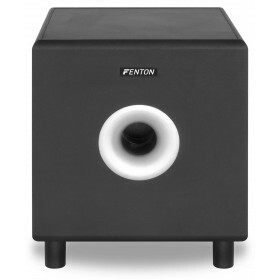 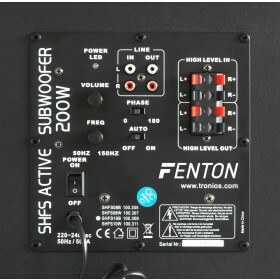 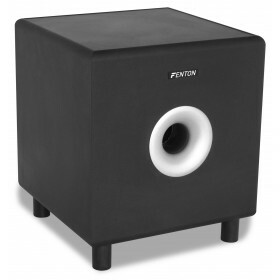 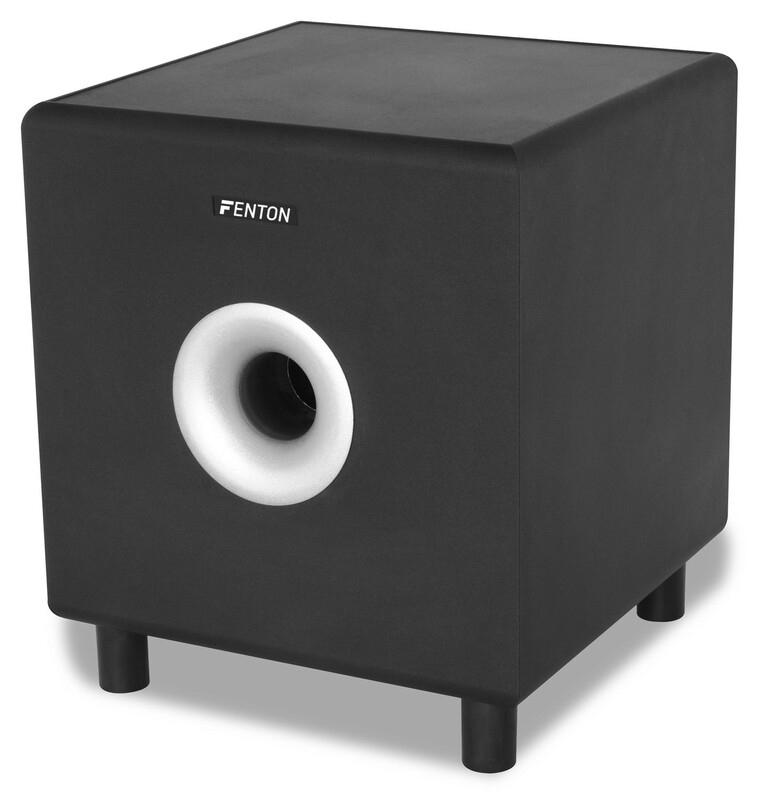 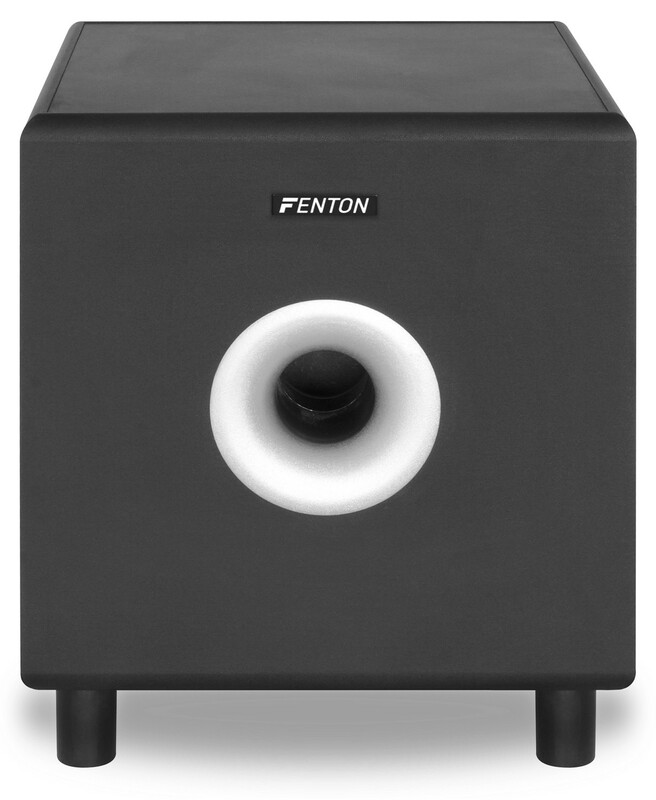 The subwoofer takes care of the frequencies below the set value and thus relieves the other speakers in the system. 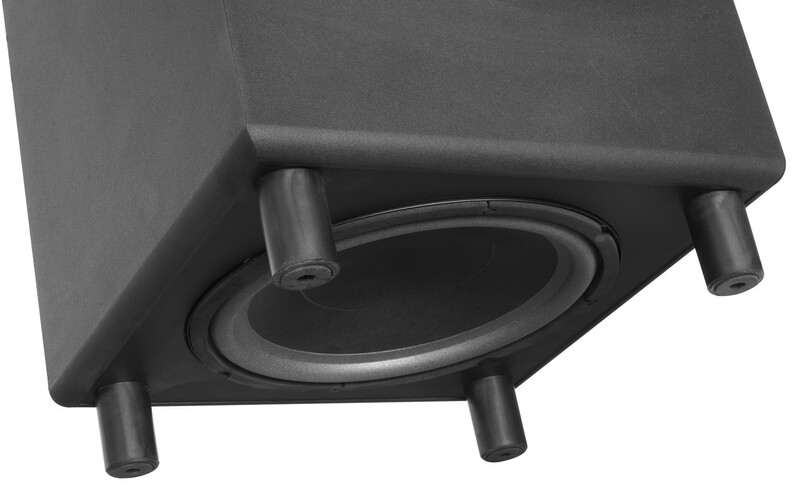 The phase is to adapt, where you can choose from 0° or 180°. 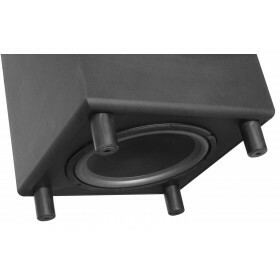 The stereo RCA input or standard speaker terminals can be connected to a receiver or amplifier. The subwoofer rests on four legs.